Canadian sole proprietors might not know it yet but they have lost the benefit of the health spending account (otherwise called Health & Welfare Trust). The ability to use these spending accounts as a vehicle to expense extended medical and dental expenses to your business gross income is coming under scrutiny by CRA when the benefits are for family members or those deemed by CRA for the benefit of non-arms length employees/persons. These accounts facilitated by CRA are government-run (for lack of a better term) program that allows individuals to tax deduct medical and dental expenses from their business income using these health spending accounts. When you deposit money into you health spending account it was a tax deductible business expense, to be used specifically for medical and dental expenses. Unfortunately, Revenue Canada has said this will no longer be allowed for sole proprietors dealing at non-arms length. I can only rationalize CRA’s reasoning is the sole proprietor and the business are the “same” when filing an income tax return. All sole proprietors who have purchased health spending accounts and not dealing at arm’s length will come under the scrutiny of CRA and may have future extended health and dental benefits through any health and welfare trusts disallowed. How Come I Didn’t Know About It? The companies and advisors offering this service have been notified by Revenue Canada and have subsequently been passing the message along to affected clients. We have been notified by several companies warning us they will not accept new business after February 1, 2013. You might have noticed several major insurance companies have bought extensive TV advertising offering their extended health and dental programs. Their products may have a place in some people’s planning but they do not fit the needs of many sole proprietors or small business owners. In my experience, these options seem to work much better than the health spending account anyways. 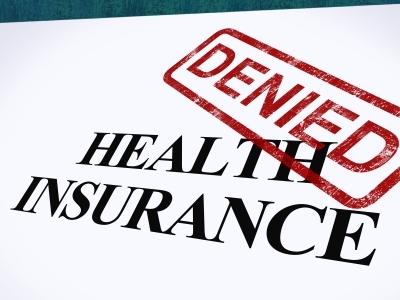 As a sole proprietor, you are not out of options for extended coverage for health and dental. Go here to learn more about benefits that are compatible with one-person firms.